One of the longer routes of the Paraclimb event in Edinburgh in 2015. Throw back to 2015. Some time during the summer I was browsing the internet. And by coincidence I stumbled across an article about the British Paraclimb Series. As I had been climbing for some time - on and off, nothing regular - the article caught my interest. 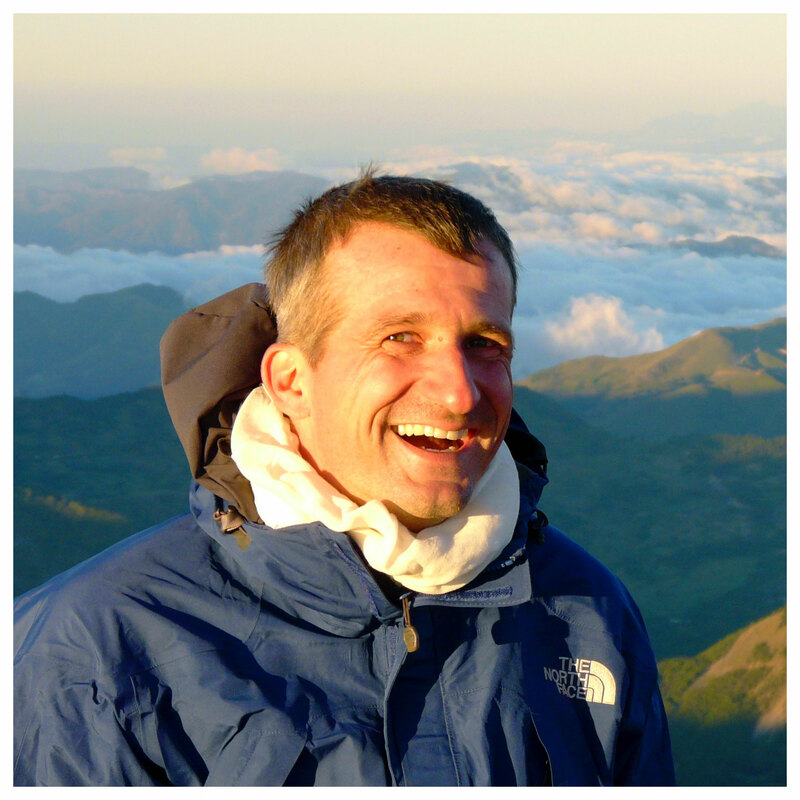 „On Saturday, September 19, the British Mountaineering Council‘s/Mountain Council of Scotland‘s Paraclimbing Series is kicking off“, so it said. The first round was to be in the Edinburgh International Climbing Arena. And while it‘s quite a long drive to get up there, I new right away that I wanted to be there for this event. It would be a special gift to myself to celebrate my 10th anniversary as an amputee. September 19, 2005 was the last day I walked - or better limbed - around this planet on two legs. A day later I had my left leg amputated and started a new chapter in my life. So up I went. Up to Edinburgh to take part in the first round of the 2015 paraclimbing series. My first ever climbing competition. And a special treat to myself to commemorate the tenth anniversary of my amputation. The setting of the event alone was amazing. 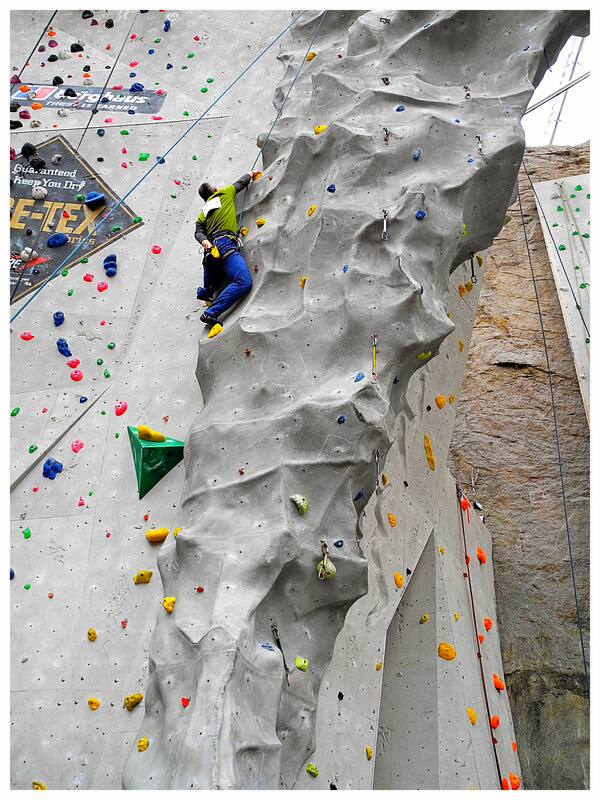 The spectacular Edinburgh International Climbing Arena, the worlds‘s largest indoor climbing wall, offers everything a climber might possibly ask for. And as the paraclimbing series ran parallel to the Scottish Youth Climbing Championship, we had plenty of people watching and a great atmosphere. Each contestant in the paraclimbing series had to climb through three longer routes and solve three boulder problems. All of them top-roped. It was an on-sight format with only one go for the longer routes while we had three attempts for each of the boulder tasks. As the first longer route looked - and was - easy, I decided to start with that one. An easy 100 points on my score card, a good way to start, good for boosting my confidence. I quickly moved on to the second longer route. Much more difficult, much more demanding - but doable. Soon another 100 points were on my score card. As the third route looked more difficult, I decided to try one of the boulder problems first. I am not much of a boulderer but this first problem was not too hard and good for warming up. So there were they were, the next 60 points. Good. After a short break, I thought let me give the last long route a go. And...I blundered. I misjudged my reach in the initial section. As a result I manoeuvred myself into a bad position, didn‘t think properly how to best get out of it and slipped. Uuups, that was way lower on the wall than anticipated. Well, my own fault and something to learn from. The last remaining two boulder tasks looked beyond my skills. One asked for an immense dynamic move. It needed quite a jump to get anywhere near the top hold. The other one asked for a solid combination of strength and technical skills, a combination that was not part of my repertoire. I had my three attempts on each of these problems, but did not reach the top. And despite the blunder on the long route and not being able to work my way through the boulder problems, I was satisfied with my climbing in Edinburgh. Managing all the routes would have been nice. Making it into the top group would have been amazing. But that was not the reason why I wanted to be part of the opening round of this year‘s series in the first place. I wanted to enjoy the event, wanted to get to know other disabled climbers, wanted to see what they are doing and learn from them. And most of all I wanted to mark the tenth anniversary of my own amputation with a special treat and in a way I would remember for a long time. And that‘s what I did. In all these regards I am so glad I made the trip to Edinburgh. Even better. My wife took a day off and joint me. And we had our little son with us. Having them with me and knowing that they were there was special. Half of the British Paraclimbing National Team - some incredibly gifted climbers and inspiring personalities - was there. The atmosphere was great and characterised by loads of mutual assistance and support among all participants. I loved it. How Did You Celebrate Your Limb Loss Anniversary? I would love to hear from you. How did you commemorated the anniversary of your amputation? Send me your story. Or comment below. I am sure there are amazing things you have done to mark the special day.